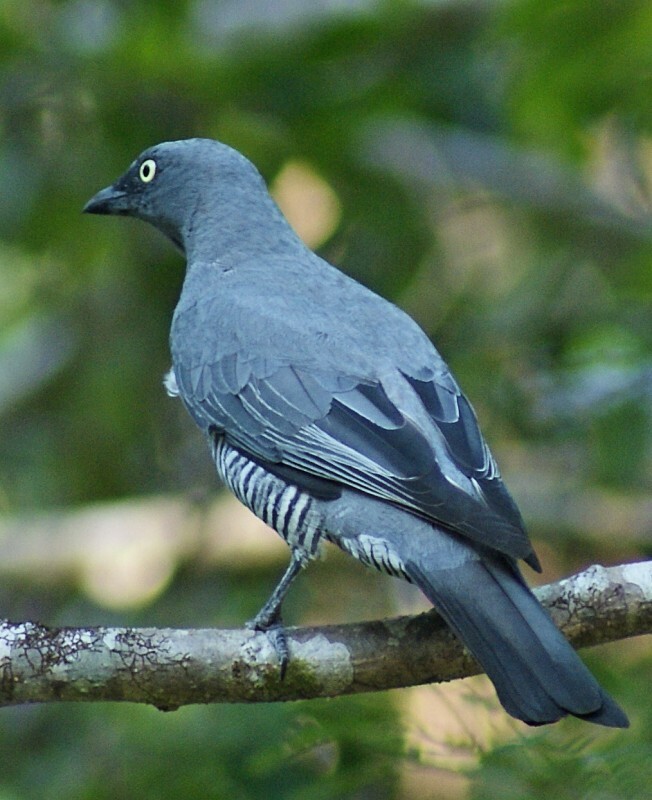 The Barred Cuckoo-shrike is found along the eastern coast of Australia from north of the Hunter River up to Cape York. These birds can also be found on islands to the north of Australia and Papua New Guinea. An older name for it is the Yellow-eyed Cuckoo Shrike. 26-28 cm.